Each fall, the Right Whale Festival is held in Jacksonville Beach, FL to celebrate North Atlantic right whales and their seasonal return to the waters off Florida and Georgia, which is the only known right whale calving area. The 7th Annual Right Whale Festival will be held on Saturday, November 21, 2015. More information on the festival is available at www.rightwhalefestival.com. We invite interested individuals to participate in an annual poster design contest (see previous posters on website). Designs will be voted on by the Right Whale Festival organizers and partners. The chosen poster design will also be used for t-shirts, ads, and kid’s passports program. • Must include a mother and calf (baby) right whale. • Physical characteristics feature of the right whales should be anatomically correct (ex. paddle shaped flipper vs. pointed). • Poster should include the Right Whale Festival logo either incorporated into the artwork or somewhere on the poster (see top left of this announcement). The logo is available on the festival website. • Component of the poster should be easily converted to two-color/ b&w graphic, as needed for advertisements and some t-shirts. • Include white space for sponsor logos at the bottom on the design. Celebrate the annual return of the engendered North Atlantic right whale to its calving waters off our coast. The festival raises awareness about the right whale and the ongoing efforts to protect them. • Artist must be willing to work with a representative from the Right Whale Festival to create one color and one black and white ad for print advertisements, as well as, the design for t-shirts, and other materials as needed. • Artist must provide designs files in the Adobe Design Program used upon request. • Artists name will be included on the festival poster and listed on the rightwhalefestival.com website. • Artists will be called on stage during festival to receive formal recognition (if artist choses to attend the festival, it will be at his/her own expense). • Artist will be provided with each item in which their design was used including posters, t-shirts, passports, advertisements, and any additional items. 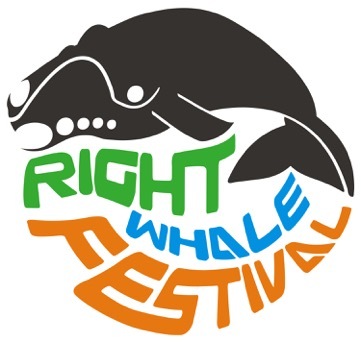 Please refer to previous years posters (available the festival website www.rightwhalefestival.com for examples. Other questions can be directed to rightwhalefestival@sea2shore.org. Winners will be notified by June 5, 2015.